You know that your resume creates an important first impression, so could yours benefit from a makeover? The resume format that was perfectly acceptable ten years ago will appear out-of-touch in today's job market. You realize that your old interview suit may be out of style now, but your resume also needs the same kind of updating attention, not just in content, but also in style. To help you with this, Innovative Outsourcing has found a great resource published by myPerfectResume.com We hope that this will help you get a good start as you evaluate and make possible changes to your resume. 1. 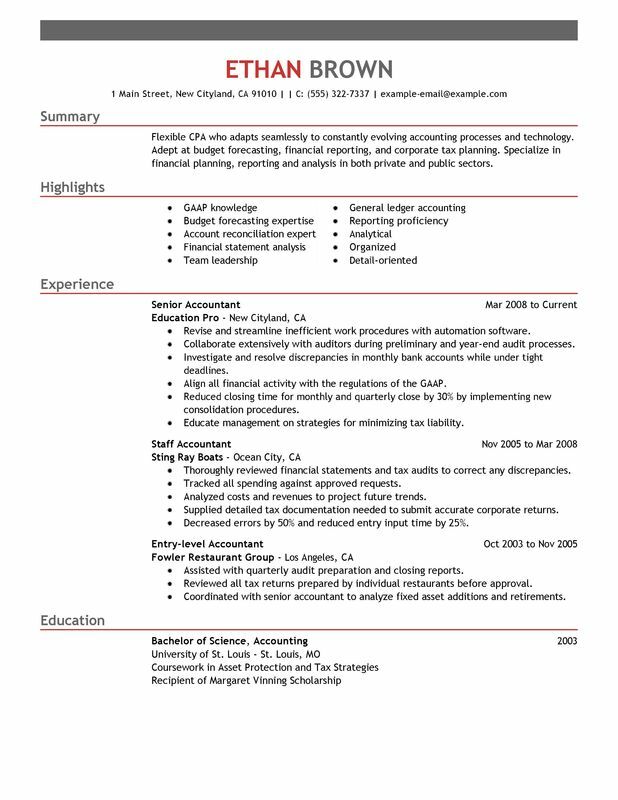 What needs to be included in a resume? Before you start writing your resume, you need to determine which sections will be included in your resume. Most resumes include the following sections, although the order depends on the resume format you choose. The first of our resume writing tips may seem like a no-brainer. However, jobseekers often skip this important step. A mistake in this section could prevent a hiring manager from contacting you with an interview opportunity. And if you plan to make changes to a resume that you already have on file, then it’s even easier to include an old email address or phone number. Take a minute to read this section carefully to prevent a regrettable — and silly — mistake. A summary statement is a series of short sentences that describes your most relevant skills and accomplishments. Typically, you write two to four of these short sentences. Omit “I” and write declarative statements, such as “Skilled at aligning marketing and communications needs for an array of small businesses.” You can also write bullet points, if you prefer. The summary statement is the first thing that an employer will see, so make those few precious seconds count. Look at the job description and see exactly what they need. Touch on your most valuable, applicable skills here. What happened to the objective statement? The objective statement is out of style. Recruiters know what your objective is: to get a job. Instead, they want to see what you can do for them. Remember that our resume writing tips revealed that employers don’t look at resumes for more than a few seconds? Creating a great skills section can help recruiters skim your document quickly to see if you have the qualifications that they seek. Like the rest of our resume writing tips, there’s more to perfecting this step than just writing the words. Read the job description. Which desired capabilities does the employer need most? Often, the qualities listed at the top are more important to the organization. Look for phrases like “strongly preferred” as well. Use your critical thinking skills to master this valuable section. First, write your experience in reverse chronological order. This means that your most recent job goes on top. Next, return to the job post. Place your most relevant accomplishments and duties at the top of each job listing. This allows your reader to catch crucial information while skimming. Lastly, aim for consistency. If you write your dates of employment like this “Apr. 2015 – Apr. 2017” for one job, then don’t write “September 2010 – April 2015” for a different one. Similarly, don’t write “Manage a team of five” if you are referring to a job that you held in the past. It’s a nit-picky detail, but recruiters may assume negative things about your work performance if they catch this error. Instead of only listing the things that you did in your past positions, discuss your professional achievements. Don’t mistake us: you should list some duties, but don’t take up too much space doing so. Employers can likely guess what you did based on your job titles. As is the theme of our resume writing tips, tell them something about you that they don’t know. If you can, look through old emails to help you determine your greatest accomplishments. No matter how nervous you may feel to apply to a job, pretend that you’re confident. You can do this by using strong action verbs in your work history section. Look at the statements below. Which one sounds more powerful to you? Notice how the second example sounds more commanding, yet the statements share the same information? Proper wording is a great way to impress recruiters. Well, that’s what you sound like when you claim things on your resume without backing them up with data. Don’t say that you oversaw “many” patients at the clinic. Instead, share the number that you usually cared for over one shift. Did you help the company earn money? Reveal how much money. This is one of our most important resume writing tips. If you follow this practice, then you provide evidence for employers. Therefore, you will build a stronger case for your competencies. Let’s return to that big fish story. If your buddy Photoshopped a picture to make the fish look bigger, then you would notice. Maybe you wouldn’t see it immediately, but you’d eventually take a closer look and notice. And once you do see it, then you won’t trust that friend the next time he tells you about a big fish he caught. Resume writing is similar. If you lie, the employer will find out someday. Even if they find out after you have been hired, your relationship will not be the same. The second-to-last of our resume writing tips is about your education section. Keep this field short. Only include relevant information. But what’s “relevant” in this context? Let’s go over some examples. If you have a bachelor’s degree, then don’t share your high school information. You obviously obtained a high school diploma or equivalent. However, if you have a master’s or Ph.D., then you should still include your bachelor’s degree. Write about your areas of focus in your post-graduate work, but skip it for undergrad. If you have room, then include clubs and activities that are not religious or political. This can help recruiters see if you are a good culture fit. But it also won’t hurt you if you don’t share this information. 11. Edit, edit, then edit some more! Start by reading your resume out loud. You will catch more errors when you hear your voice read them. Next, read your resume from bottom to top. This forces you to concentrate on your reading, which will help you find more issues. Have some time? Send your resume to a trusted friend. A fresh pair of eyes will help you see things that you might have missed. Follow these tips and you’ll be well on your way to finding a great job in no time!